The voices of Arab feminists have come together in an anthology packed with insights on the themes of home & homeland, exile, feminism, borders, gender and sexual identity, solidarity, language, creative resistance, and colonization. 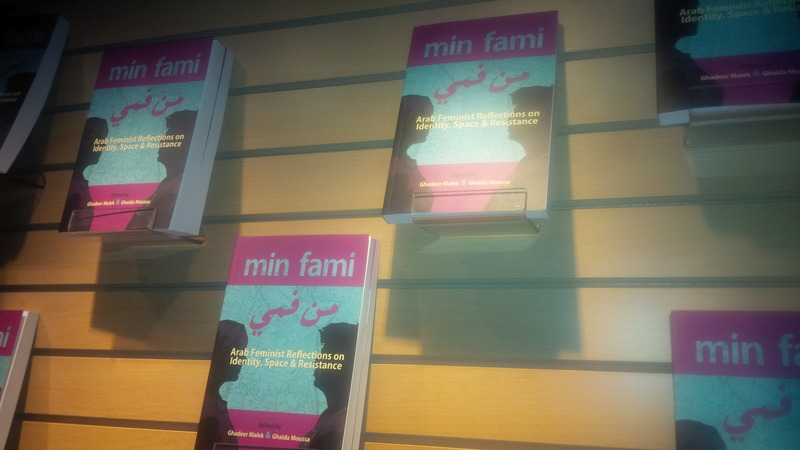 Leila Lemghalef from the CKUT News Collective attended an intimate book launch recently held in Montreal. We’re about to listen to a snapshot of presentations from the mouths of contributors themselves, followed by a discussion on some salient themes. We are going to hear the voices of Ghada Chehade, Nayrouz Abu Hatoum, Maha Zimmo followed by remarks by coeditors, Ghaida Moussa, Ghadeer Malek as well as a broad exchange of ideas. Hosted by Ken McMurray from Friday Morning After.